On the Western Front, during World War One, much of the war was spent in trenches. Soldiers lived together day and night in these long, narrow ditches, dug into the earth. 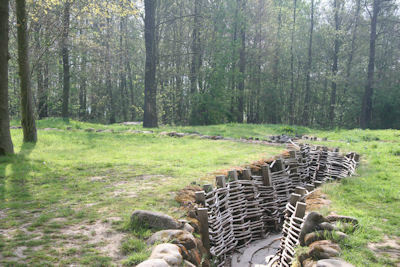 The trenches defined the front lines and were held by infantry. Death was a constant threat to those serving in the line. Access is by prior booking from the Heuvelland Tourist Office in Kemmel.